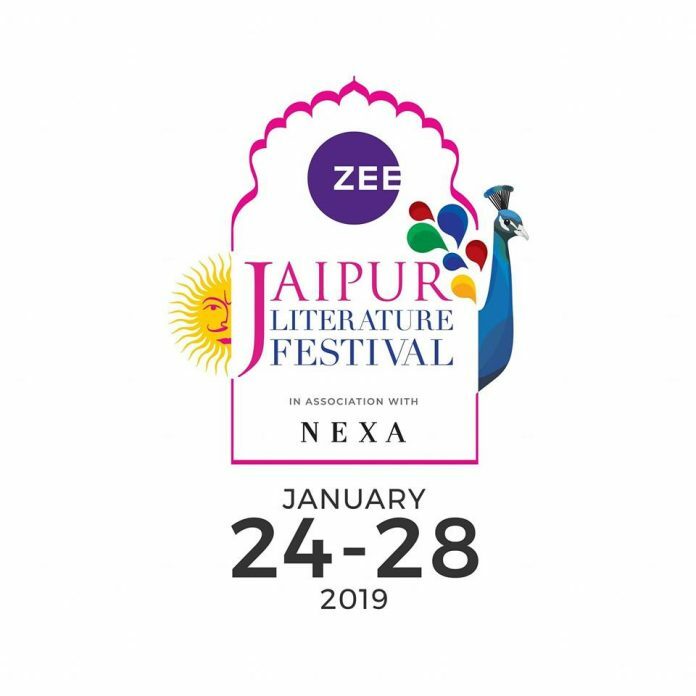 The ZEE Jaipur Literature Festival 2019 takes place from 24 – 28 January at the Diggi Palace Hotel, Jaipur Rajasthan. Jaipur Music Stage runs parallel to the Festival from 24th-27th January at Clarkes Amer featuring headliners including DubFX, Jasbir Jassi, Kutle Khan, Roohani Sisters. 6th edition of the B2B arm of the Festival, Jaipur BookMark (JBM) began on 23rd January with a keynote address from Juergen Boos and includes sessions on the fate of independent bookstores, skilling for the publishing industry, translations and rights, market trends, art and design work in publishing, distribution models and many engaging discussions. The festival’s ongoing Youth Outreach programme with Yuva Ekta Foundation and School Outreach programme with Pratham Books continues to engage a large number of children and young people. Hailed as a grand and eloquent literary extravaganza worldwide, the ‘Kumbh of literature’, the ZEE Jaipur Literature Festival 2019, opens tomorrow at its usual abode, the Diggi Palace Hotel, to continue its tradition of providing access to a gamut of ‘stories’ – fearless, funny, tender, fantastical, true-to-life, fiery, equivocal, atypical and everyday – to all. 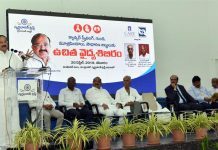 The magnitude of programming remains as astonishing as every year; however, 2019 seems the most ambitious yet with over 500 speakers across around 15 Indian and 12 international languages, representing over 30 nationalities and awards ranging from the Nobel, the Man Booker, the Pulitzer, the Sahitya Akademi, the JCB Prize and DSC Prize for South Asian Literature. The twelfth Festival begins tomorrow with the inaugural keynote by Nobel laureate Venki Ramakrishnan, author and President of the Royal Society. It also features Man Booker-winner Ben Okri; Pulitzer-awardee Colson Whitehead; Yale Professor and renowned astrophysicist Priyamvada Natarajan; best-selling and prolific writer Alexander McCall Smith; Man Booker-winning Yann Martel; writer and essayist André Aciman whose Call Me by Your Name depicts a tale of enduring love; Andrew Sean Greer, New York Times bestselling-author and 2018 Pulitzer Prize-winner; Germaine Greer, writer and academic, and one of the most significant feminist voices of our time; Sohaila Abdulali, intrepid journalist and prolific writer whose 2013 Op-ed in The New York Times broke readership records, Anuradha Roy, winner of the DSC Prize for Fiction 2016, and longlisted for the Man Booker 2015; Chitra Banerjee Divakaruni, award-winning novelist, poet, activist and teacher of writing; widely acclaimed British novelist and journalist Hari Kunzru; former Newsnight anchor Jeremy Paxman, one of Britain’s best-known journalists and author of nine books; Jeffrey Archer, master of the twist-in-the-tale, and number one in fiction 19 times; Stegner Fellow at Stanford University NoViolet Bulawayo, the first black African woman and Zimbabwean to be shortlisted for the Man Booker; Alvaro Enrigue, one of Spanish literature’s most accomplished writers. Joining them are Ashwin Sanghi, ranked as one of India’s most popular authors; the irrepressible, fearless and delightfully irreverent Shobhaa De;Usha Uthup – whose voice that ricochets straight off your soul; leading Hindi novelist, short story writer, playwright and satirist Narendra Kohli;Neelesh Misra, versatile lyricist, radio storyteller, writer and founder/editor of Gaon Connection, India’s biggest rural media platform; the prolific Devdutt Pattanaik, who has made mythology chic in the modern day; Manoranjan Byapari, who emerged as a writer, having learnt to read and write in jail at the age of 24, Manisha Koirala, gifted actor and gritty cancer-survivor who recently returned to the screen; feisty film-makerMeghna Gulzar who will discuss her book Because He Is, in a session with her legendary father, Gulzar. The list continues with Tamil author, scholar and literary chronicler Perumal Murugan; wildlife conservationist Rom Whitaker, founder of the Andaman and Nicobar Environment Trust (ANET), and the Madras Crocodile Bank Trust; Benyamin whose recent novel Jasmine Days, originally written in Malayalam, won the first JCB Prize for Literature; Sir Roy Strong, writer and diarist, and former Director of the National Portrait Gallery and the Victoria & Albert Museum; Ruth Padel, award-winning poet and conservationist, Professor of Poetry at King’s College, and Darwin’s great great granddaughter. The sessions cover a grand span of ideas from environment, conservation, wildlife cinema, politics, to history, poetry, science & AI, language, mythology and gender. In an atmosphere charged with the outcry of #MeToo allegations, ‘Women and Power’ will hear vocal feminist Mary Beard discuss history’s flawed positioning of women under the shadow of dominating cultural misogyny, with the powerful voices of Germaine Greer, Katty Kay, Reni Eddo Lodge and Urvashi Butalia and Bee Rowlatt. In a democracy, information empowers: in ‘The Right to Know’ RTI reformer Aruna Roy, activist Harsh Mander and Sreenivasan Jain, make a passionate appeal for a citizenry’s ‘Right to Knowledge’. In ‘India Decides: The Great March to Democracy’, India’s 16th Chief Election Commissioner Navin B. Chawla, shares an in-depth account of the challenges of executing free and fair elections in the world’s largest democracy. Language and its almost primeval relationship with writers are discussed in ‘Reclaiming the Mother Tongue’, with bilingual poet Akhil Katyal, and leading Malayalam litterateur N.S. Madhavan. The Festival sparkles with the spirit of journalist-writers such as two-time Pulitzer Prize winner Steve Coll, and Åsne Seierstad, author and reporter from war-torn regions such as Chechnya, China, Kosovo, Afghanistan and Iraq. Diplomat Navtej Sarna in ‘The Post American World’, along with a distinguished panel comprising Jon Lee Anderson, Peter Bergen and Steve Coll, will elaborate upon how the growth of India, China, Brazil, Russia and Africa is generating a new landscape which will soon push the West out of its position of complacence and hegemony. In ‘The Future is Now’, Scientia Professor of Artificial Intelligence at the University of New South Wales Toby Walsh, and former journalist and writer Meredith Broussard, will discuss our future under the steady but ambivalent influence of AI, and the possible choices we need to make to remain in control of our lives. The Festival presents not just stimulating conversations on literature and the written and spoken word, but also including performance as well as visual arts giving it a vivid cultural backdrop. While the hub of the Festival continues to be its customary home at the Diggi Palace Hotel, it now has extension events across multiple locations in and around the city including the Amber Fort, the Jawahar Kala Kendra, the Nahargarh Fort and Clarkes Amer Hotel among others. The Festival also features the JCB Prize for Literature Festival Bookstore, managed by Full Circle where one can find the greatest books from the speakers at the festival. Jaipur BookMark, the B2B arm of the Festival, returns for its 6th edition and has become a one-stop-shop for publishers, translators, literary agents, booksellers and writers to meet, discuss ideas, and ‘talk business’. Jaipur BookMark features sessions on the challenges of publishers, the fate of bookstores, skilling for the publishing industry, translations and rights, market trends, art and design work in publishing, distribution models and many engaging discussions. It also hosts iWrite, a platform for aspiring writers to share their work with industry experts and get a chance to become published authors, succeeding the very popular First Book Club (2017, 2018) Mentorship Programme for first-time writers. Starting Thursday, the city will be overtaken by a deluge of cultural and heritage events spilling beyond the four walls of Diggi Palace to multiple venues across the city, including the electrifying Jaipur Music Stage at Hotel Clarks Amer features a variety of artistes from the international spectrum showcasing a multi-genre abundance in style, sound, and history. Be it world music, ghazals, funk, rock or the Blues, the Jaipur Music Stage 2019 is a music festival like no other; embodying variety, excellence and collaboration. Apart from exciting performances by Roohani Sisters, Indian Ocean, L. Subramaniam, DubFX, Jasbir Jassi, Kutle Khan and many others, audiences can also look forward to conversations at the Jaipur Music Stage featuring speakers from the world of music. Art plays a critical role at the Festival: with leading contemporary artist Marc Quinn, featuring in a session After Bloodhead, exploring what it is to be human in the world today through subjects including the body, genetics, identity, environment and the media. There will be a live public art demonstration by Abhishek Singh who will capture the Festival on canvas over five days, and another one by Jaipur-based artist Sandip Gomay who uses live human models and inanimate objects in a way that collapses depth and makes his models appear two dimensional when photographed. Also, on display will be tribal “Warli” art presented by the Ojas Art Award, featuring works of the 2019 edition’s Master Artist Rajesh Chaitya Vangad, and Protégé Artists Tushar Vayeda and Mayur Vayeda. This year the Festival is working with multiple different corporate partners, education institutions, government departments, trusts and foundations who support the event and celebrate the core values of democracy and equality it stands for. ZEE Entertainment continues to be title sponsors of the Festival, while NEXA has come on board as associate partner with its vision to Inspire.Create at this celebration of words and ideas. Rajen Kilachand partners the Mughal Tent Venue for the second year in a row and Bank of Baroda also return, this year as partners for Baithak. Series Partners include the JCB Prize for Literature, the Patrika Game Changer Series by Patrika Group, Dainik Bhaskar, Business Standard, Aga Khan Foundation, Getty Foundation, Nordic Lights, Mahindra World City among others. Session partners include The American Embassy, the British Embassy, the Australian High Commission, Oxford University Press, Dove, MIT, Child Labour Free Jaipur Initiative, UN Women, Bill and Melinda Gates Foundation and the Population Foundation of India. The list includes Cause partner Reckitt Dettol Banega Swachh India, supporter Jan Michalski, long term partners British Council and DLF, new partners The Electronic Village and the research team of IIT Delhi. This year, the Festival has introduced a kaleidoscope of new digital engagements. This includes Jaipur Writer Shorts, which is being launched in partnership with Hotstar and features 75 exciting episodes on conversations from the 2018 edition of the Festival. 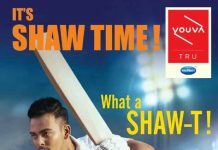 The Festival has also introduced a podcast series called the Jaipur Bytes in partnership with Launchora and Celebrate the Word, a social media community created for the Festival by Vayuz.